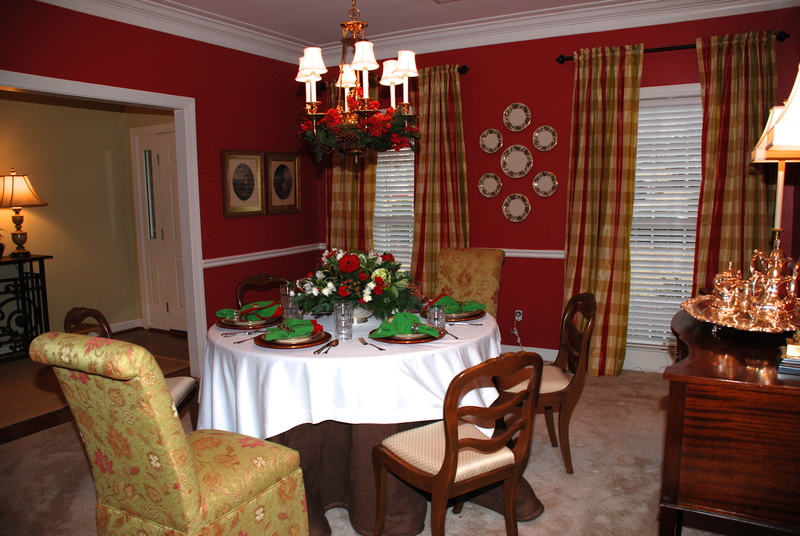 I really cannot decide which is more delicious in the South, the scrumptious and flavorful food or the divine decorating, especially during the Christmas season. 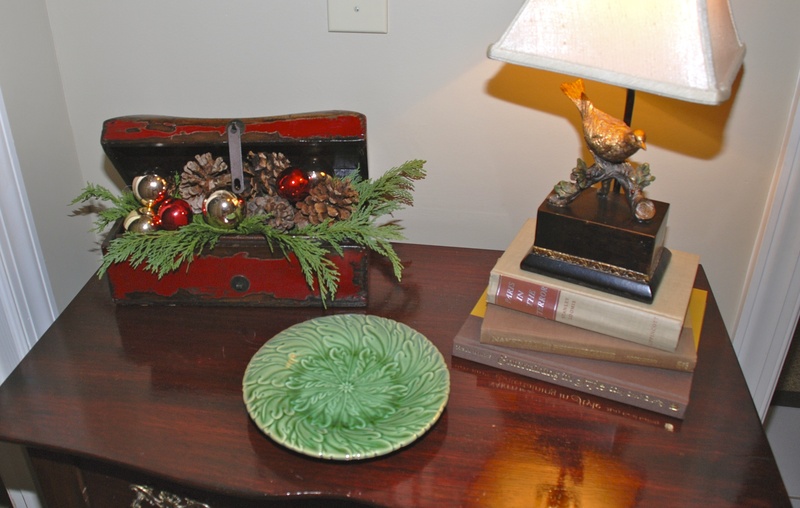 Today’s post is a bit of a sentimental walk down memory lane of our holiday-decorated home in Georgia where family traditions, personal touches, and gracious hospitality brought true JOY to the season. By opening the doors to the place we nestled in for so many years, I hope you will be inspired this holiday season to transform your cozy nest into a special place where the love of Christ is celebrated in everything you do. One gift of living in the South is all the available greenery outside in your very own backyard. 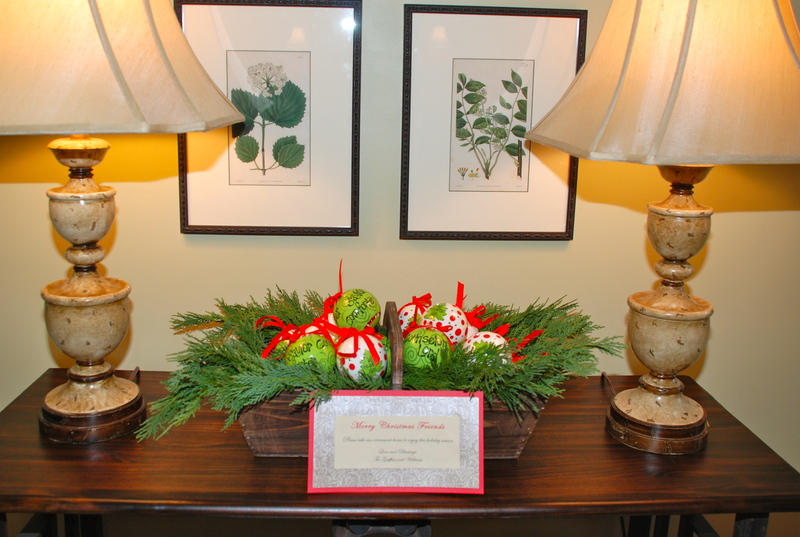 I love to bring the outdoors in and use fresh greenery to welcome family and friends during the holiday season. 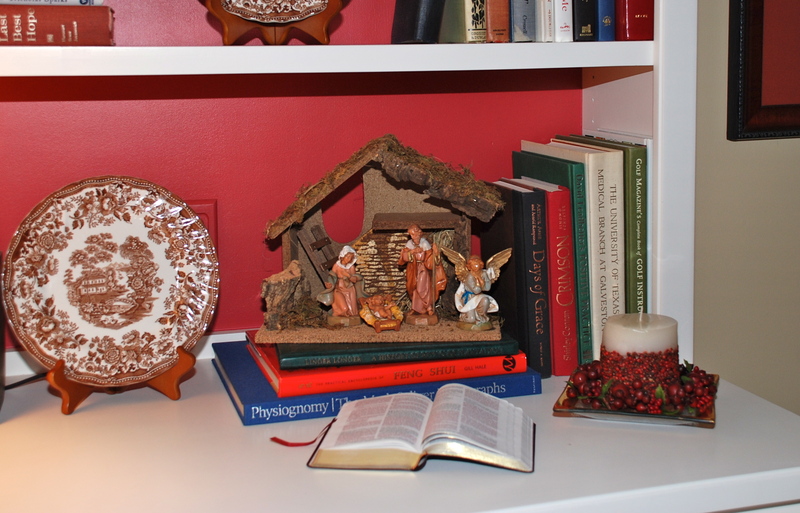 Our nativity is nested in the living room bookcase while our family Bible is open to the story of Christ’s birth. 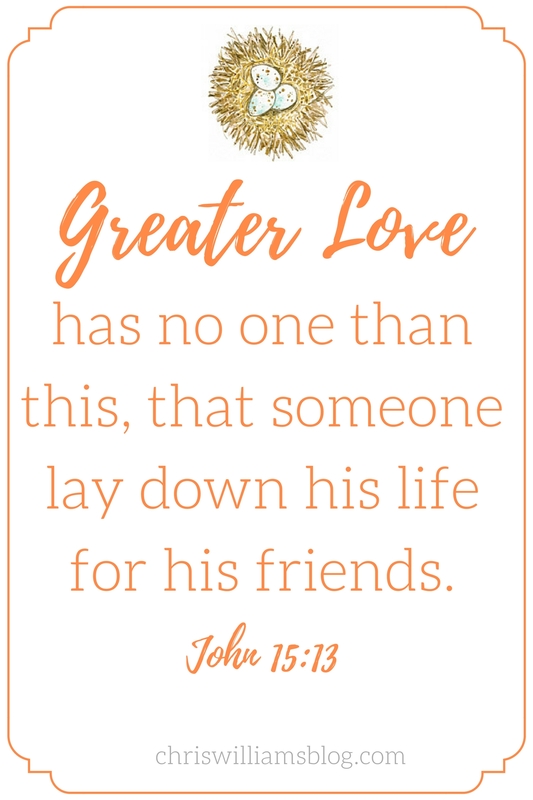 A beautiful reminder of the true reason for the season. He is the light of the world! 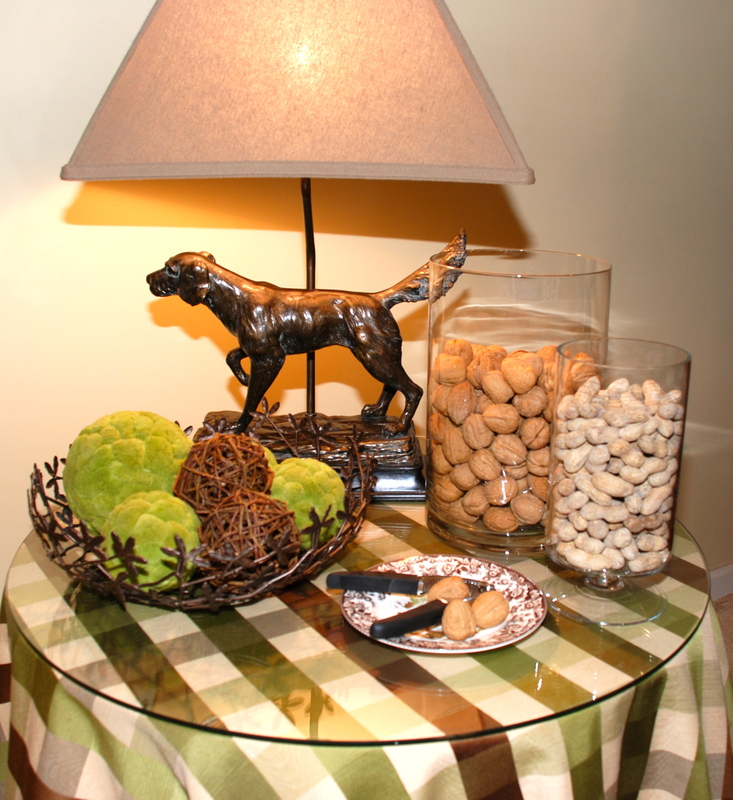 Using what is already on-hand, I enjoy mixing rustic and refined things. 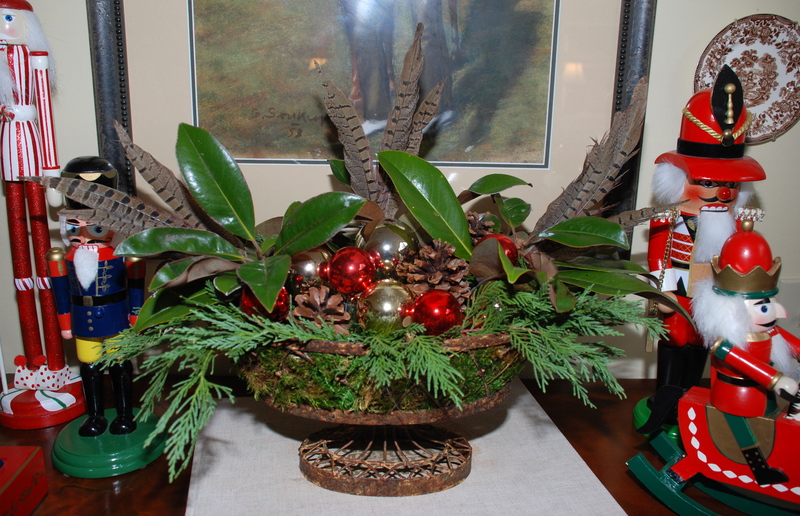 Bird feathers, various containers, ornaments, and fresh magnolia leaves are displayed together for simple decorating. 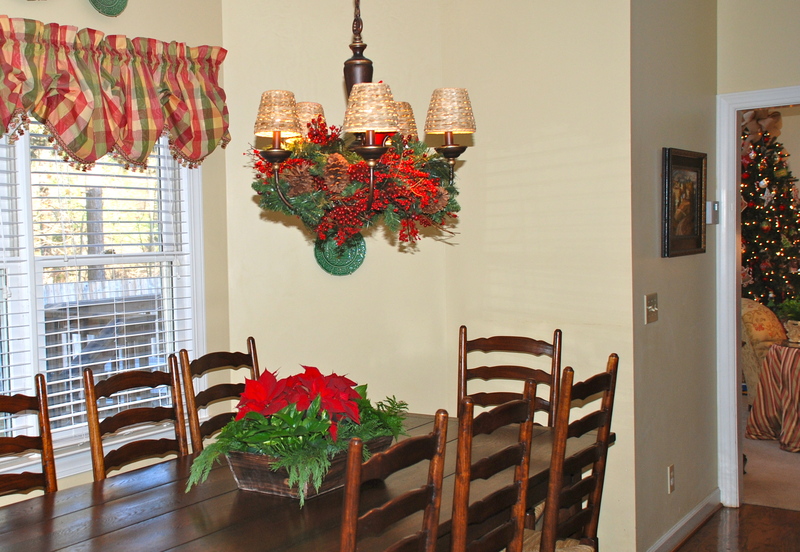 A few of my favorite things when it comes to holiday entertaining is setting our dinning room table, using silver bowls for floral arrangements, and hanging Christmas plates on the walls. 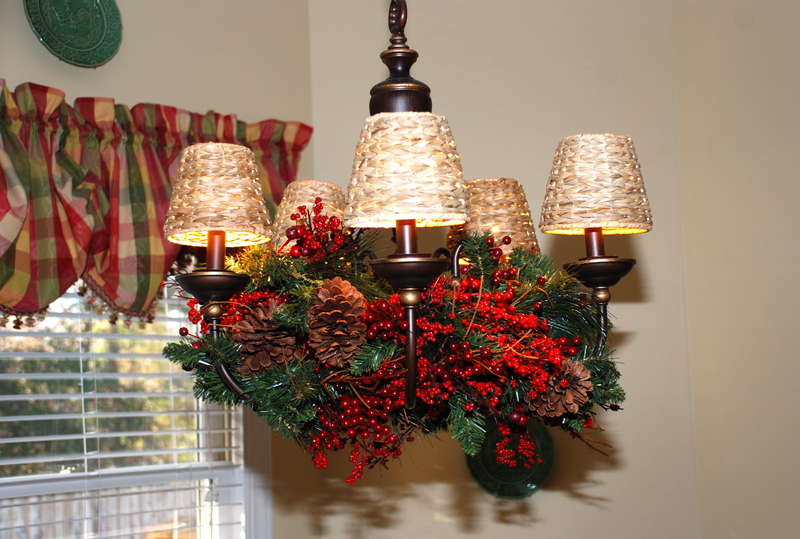 It is fun to get creative and find unexpected places to add some holiday cheer, such as placing garland in light fixtures or on top of an armoire. 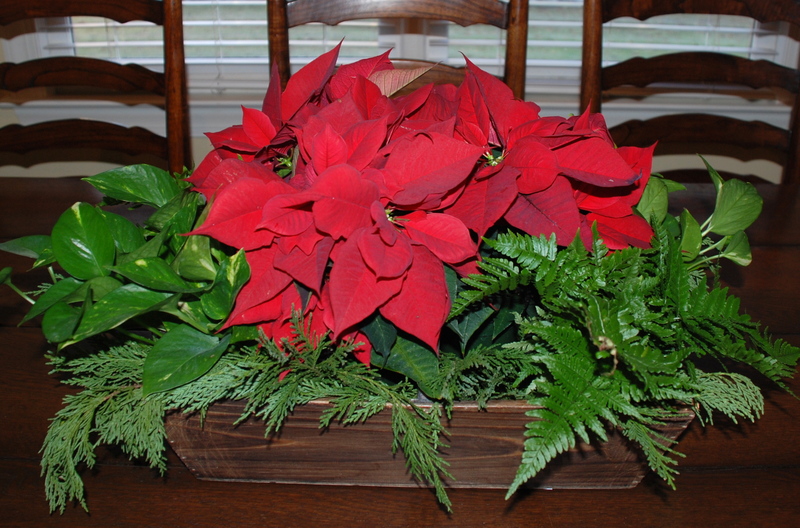 I love to use old wooden containers as plant holders, as well as fill distressed boxes with fresh greenery and ornaments. 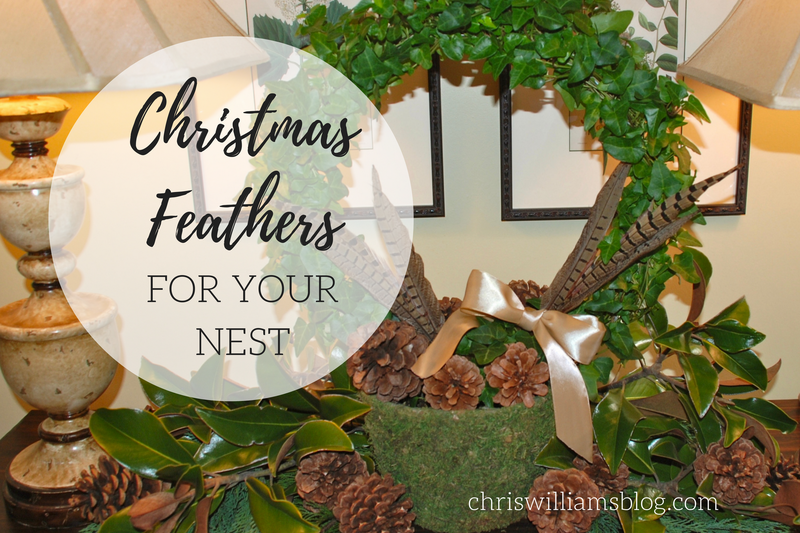 Burlap bows, pinecones, garland-wrapped banisters, and old-fashioned kitchen jars filled with homemade treats are all inexpensive ways to make your wintertime nest inviting for your loved ones during the Christmas season. This is our spin on chestnuts by the fire while celebrating God’s gift of family and friends near and far. 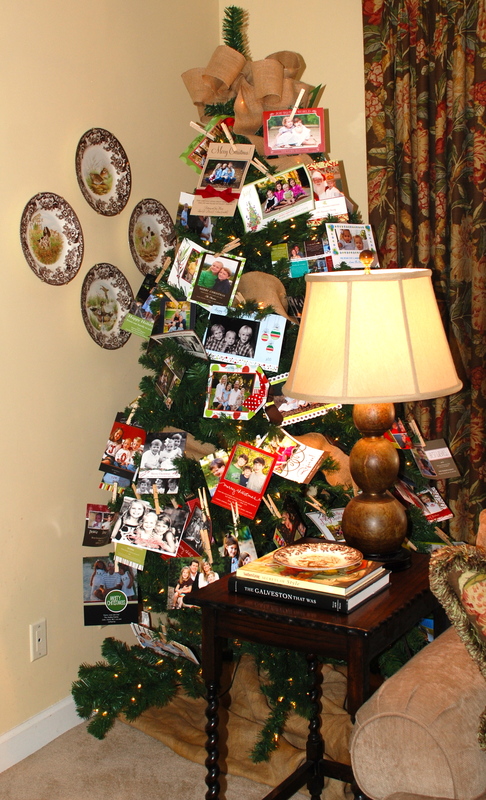 I absolutely LOVE receiving Christmas cards in the mail and displaying each of them by using wooden clothes pins on our tree. 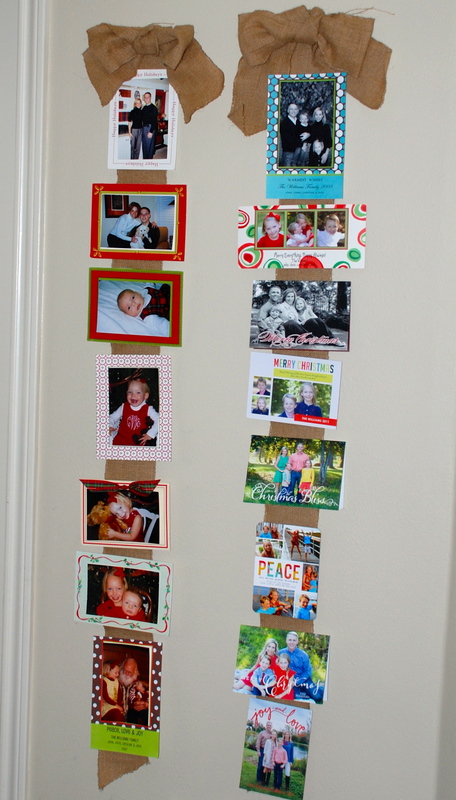 Speaking of Christmas cards, I place each of ours on oversized burlap ribbon. 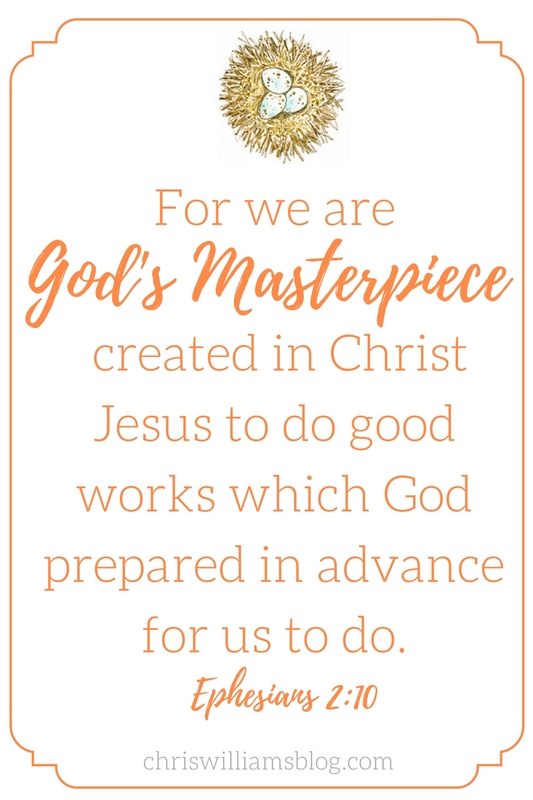 It’s a fun way to look back on our past Christmas seasons with the kids as well as be reminded of God’s faithfulness, provision, and care for our family over the years. May the beauty and wonder of Christmas fill your homes and hearts with all the love of Christ this holiday season! 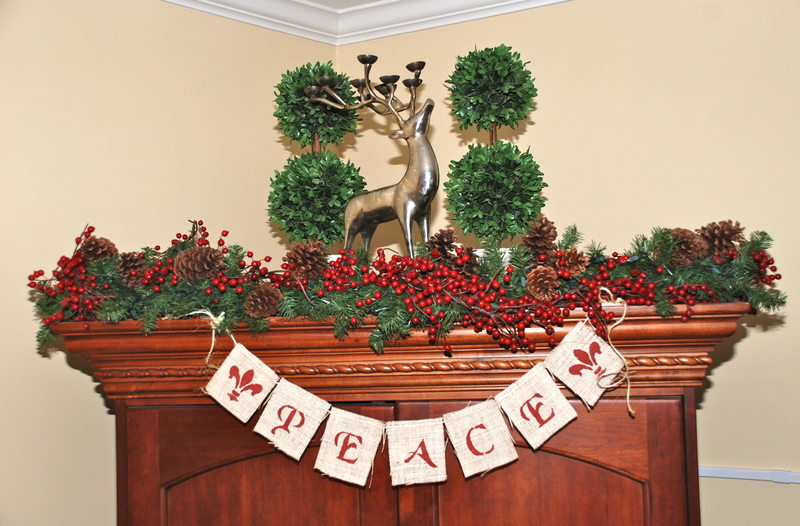 You have a lovely home and a gift for infusing the meaning of Christmas in your decorating! 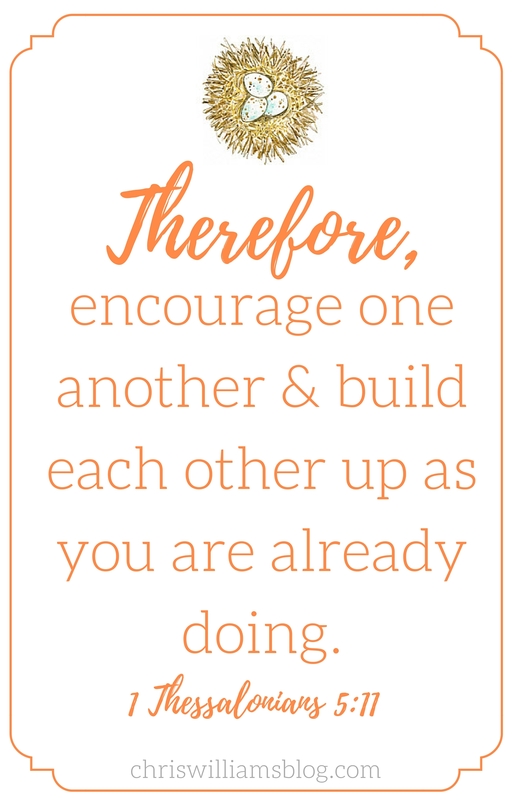 Blessings to you and your loved ones and thank-you for sharing your lovely ideas. Chris, I love this! My favorite is your “spin on chestnuts by the fire”. That is such a creative way to display the Christmas cards. Merry Christmas! I LOVE your ideas. Come and decorate my home! BEAUTIFUL! what a homemaker you are! 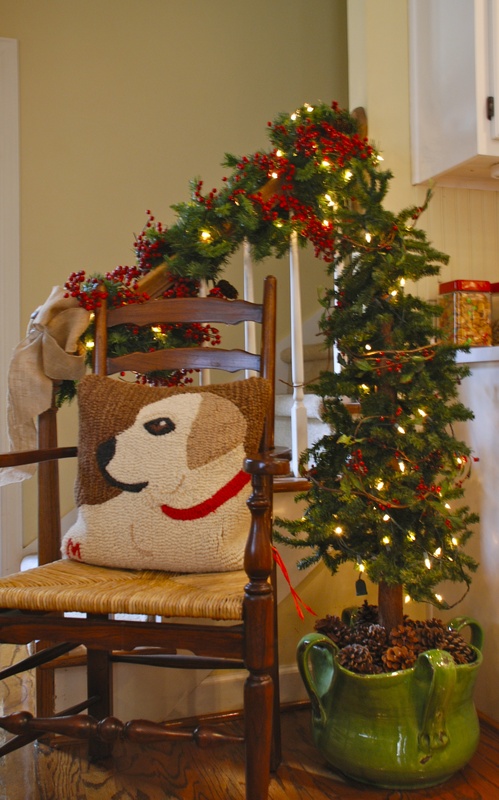 I love your Southern charming home that breathes love and hospitality..and gives me inspiration for a bahumbug season I’ve been in..I remember how much I love our Christmas decorations! beautiful!